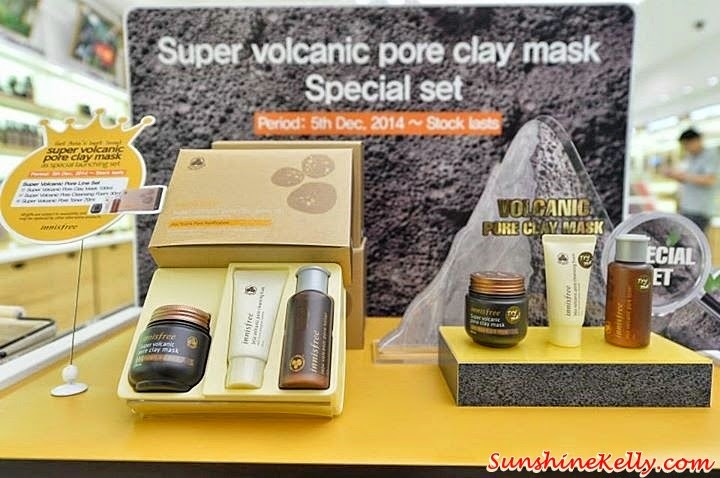 A new Korean Wave just hit Malaysia shore with its K-Beauty. As we know Malaysian just can’t get enough of all the K-Pop, K-Drama, K-Music, K-Tech and now is the K-Beauty… innisfree is all about natural ingredients for natural beauty that shares the essence of Jeju Island. 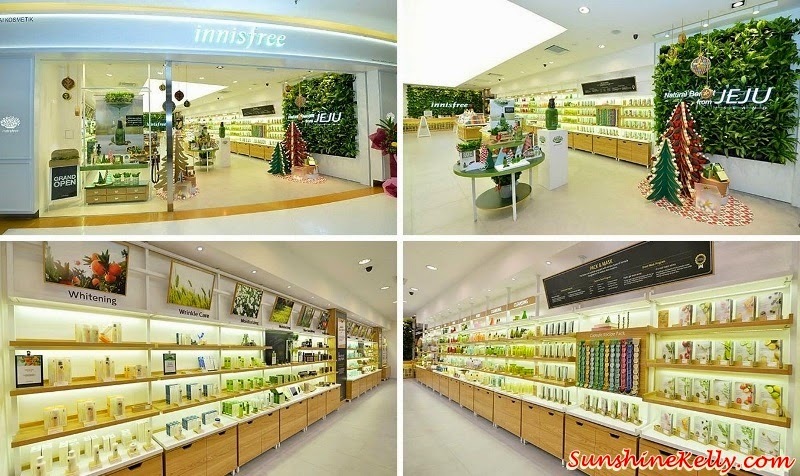 Finally, innisfree is now officially available in Malaysia beginning of 5th December with its first store at Sunway Pyramid Mall. innisfree, translated literally to “free island” bringing healthy beauty to our body and mind with their pure natural ingredients from the clean island of Jeju, Korea. 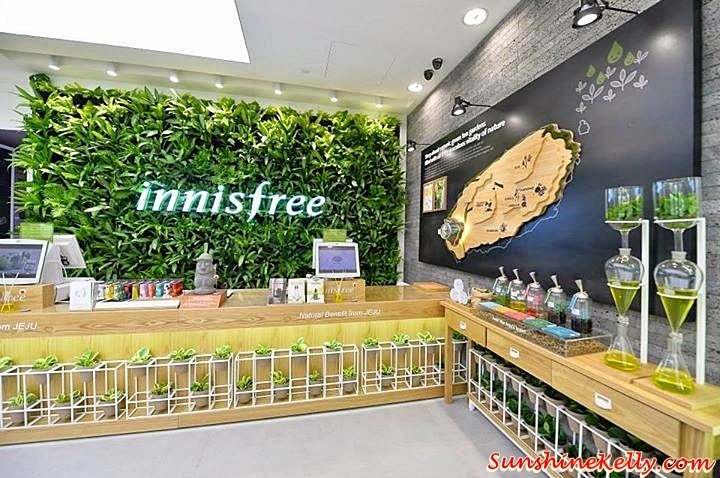 From various flowers to plants, volcanic cluster to natural seaweeds and more, the natural extraction and production of innisfree products using Jeju’s ingredients has helped the brand gain a mass following not only in Korea, but also in China, Hong Kong, Singapore and Taiwan. 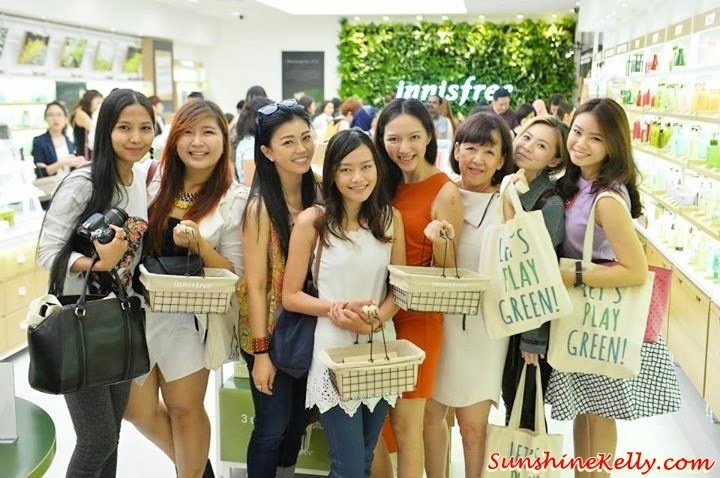 innisfree is dedicated to environment sustainability and protection in many of their Green Life Campaign such as the in-store empty bottle collection campaign, eco-handkerchief campaign, eco-friendly methodology in their products packaging and ingredients. All these skincare range cater to Asian’s common beauty woes, innisfree excellent product quality, natural and safe to use at reasonable price points. Besides skincare innisfree also has makeup, bodycare, scent and also beauty accessories. The Green Tea Seed Serum, Super Volcanic Pore Clay Mask, Eco Science White ‘C’ Pore Double Serum and Eco Science Wrinkle Spot Essence are the star bestsellers among the acclaimed products of innisfree. 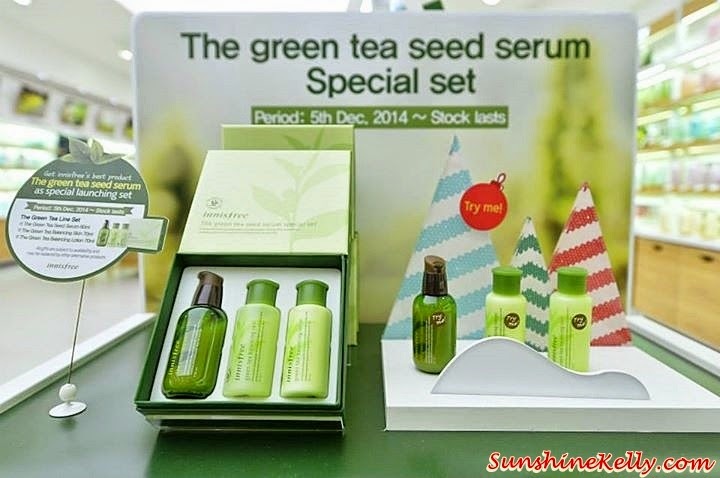 During the opening of innisfree at Sunway Pyramid Mall on 5th Dec 2014, there were a few special rewards and promotions. 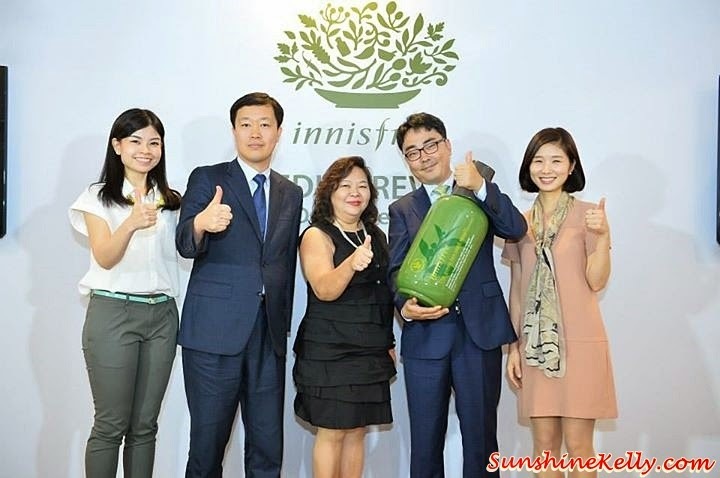 One of the main highlights innisfree’s fans should look out for are the 500 limited edition Eco-Bag designed specifically for this Malaysian launch. 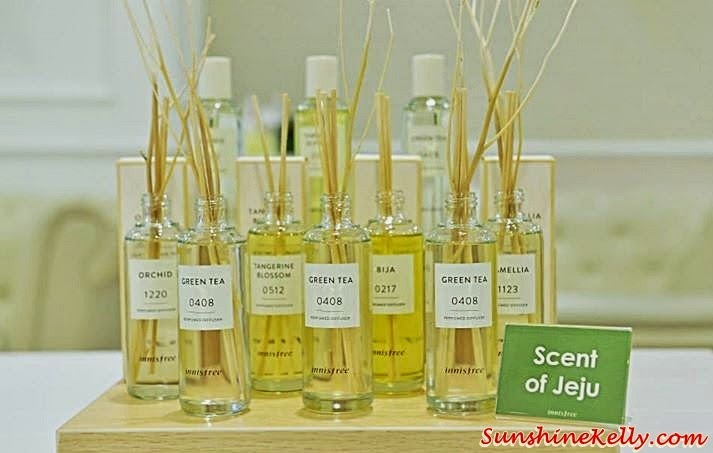 Available on first come first serve basis, and while stock lasts for purchase made above RM300 in a single receipt, each bag contains special gifts such as the innisfree Green Tea Balancing Kit and a limited edition Lee Min Ho photo book. And that’s not all. 100 of these limited edition bags also hold the ultimate rewarding surprise – the opportunity to meet the brand’s ambassador Lee Min Ho in person. 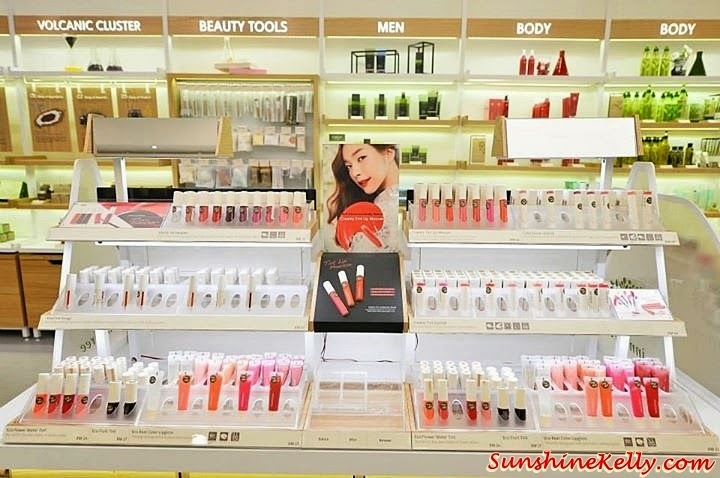 Location: innisfree @ Sunway Pyramid Shopping Mall atG1.70, Ground Floor (Orange Zone), Sunway Pyramid Mall, Selangor. Finally Innisfree is following the other sister brands like Étude House and Laneige! Looking forward to visit the store soon! Lovely girls~ hope you had a good time shopping! LOL even touching the lucky nose!